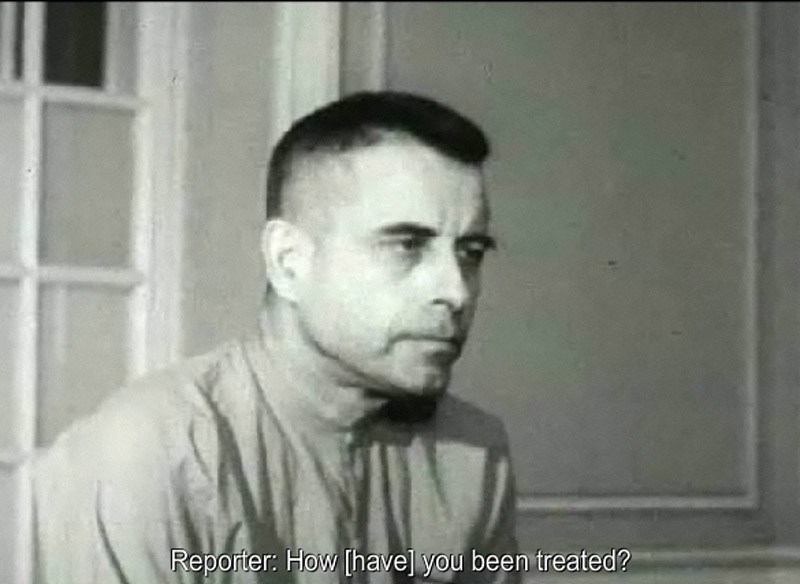 Prisoner of war Jeremiah Denton declared his loyalty to the U.S. government during a 1966 interview for what was supposed to be a propaganda film. But his enraged captors missed his more covert message: "T-O-R-T-U-R-E," blinked into the camera in Morse code, a dispatch that would alert the U.S. military to the conditions he endured. Denton, who would survive 7 1/2 years confined in a tiny, stinking, windowless cell at the infamous "Hanoi Hilton" and other camps before his release in 1973, died of heart problems Friday in Virginia Beach, Va., at age 89, his grandson Edward Denton said. In July 1965, a month after he began flying combat missions for the U.S. Navy in Vietnam, the Mobile native was shot down near Thanh Hoa. He was captured and recalled his captivity in a book titled "When Hell Was in Session." "They beat you with fists and fan belts," he told the Los Angeles Times in 1979. "They warmed you up and threatened you with death. Then they really got serious and gave you something called the rope trick." The use of ropes - to cut off circulation in his limbs - left him with no feeling in his fingertips and intense muscle spasms, he said. Some of the most severe torture came after the 1966 interview, in which he confounded his captors by saying that he continued to fully support the U.S. government, "and I will support it as long as I live." "In the early morning hours, I prayed that I could keep my sanity until they released me. I couldn't even give in to their demands, because there were none. It was pure revenge," Denton wrote. The tape was widely seen, and U.S. intelligence experts had picked up the Morse Code message. But Denton theorized later that his captors likely figured it out only after he was awarded the Navy Cross - the second-highest decoration for valor - for the blinks in 1974. He said his captors never brought him out for another interview. But with the war's end drawing closer, he was released in February 1973. Denton was the senior officer among former POWs who stepped off a plane into freedom at Clark Air Base in the Philippines. Denton epitomized the military spirit as he spoke for the returning soldiers: "We are honored to have had the opportunity to serve our country under difficult circumstances. We are profoundly grateful to our commander-in-chief and to our nation for this day. God bless America." "He was a war hero, an honorable senator, and a family man who cared deeply about his country," said a statement from U.S. Sen. Richard Shelby, who as a Democrat defeated Denton in 1986. Shelby switched to the GOP in 1994 and was elected to a fifth term in 2010. "As a senior ranking officer in prison, Admiral Denton's leadership inspired us to persevere, and to resist our captors, in ways we never would have on our own," McCain said. Alabama Sen. Jeff Sessions called Denton a "friend, warrior, leader, and hero." "He was a man of grit and character that can't be manufactured," Sessions said in a statement. "His word was his bond and his loyalty was unshakable." In later years, Denton lived in Williamsburg, Va., but he still appeared at patriotic gatherings. In November 2008, an emotional Denton watched at Battleship Memorial Park in Mobile, Ala., as a newly restored A-6 Intruder fighter/bomber - like the one he flew over North Vietnam - was rolled out in his honor. Denton's grandson, Edward, said that on one hand, Denton was a normal grandfather who enjoyed taking his grandchildren fishing aboard his boat in Mobile. "On the other hand," he said, "he was a war hero and someone who set an example for being what being a good, patriotic American is all about." CBS affiliate WKRG reports that Denton, a native of Mobile, attended McGill Institute and Spring Hill College before graduating from the Naval Academy.